But we've seen several tyre failures on several cars, that's a cause for concern aswell. Another factor is, both of the compounds they brought, were their hardest compounds, and the majority of the grid had to do 4 pitstops. I rather see proper racing, than see Lotus have an advantage. Yesterday 6 cars made one less stop, not only Lotus. Everyone says Lotus is up there in the Championship because of the E21 being gentle to the tyres. But I'm sure there's another big factor, Kimi's superb driving. Yes, and the fastest way for them, was to 4 stop. The E21 + Raikkonen's only advantage over the rest is tyre management, the car wouldn't be close to Ferrari and Red Bull if it wasn't for this, in my opinion. And what would you be like if Raikkonen suffers a tyre failure through no fault of his own? I doubt you would be happy, I don't think it's a mere coincedence that there have been 4-5 tyre failures in the past 2 Grand Prixs alone. Adding to that, the race winner Alonso was close to having a puncture. I don't think the tyres will be as bad as they were in Spain and Bahrain though, definitely not bad in Monaco, Canada though, it might be a disaster comparing the last few years there. Yes, I agree with you on that, tyre failure should be looked at because is dangerous, but it's not fair to make big change to the tyres in the middle of the season only because some top teams didn't find the way to manage them like Lotus E-21 + Kimi's driving style. Still Boullier said that if that's the case, they will have to deal with it. But that doesn't mean is completely fair. I think. But yes, Lotus have to find more race and qualy pace, because they can't only rely on Kimi or doing one less stop to win. Kimi RÃ¤ikkÃ¶nen has now raced 25 races in Lotus and he has finished every time. He has 22 consecutive races with points. If he would score in Monaco then he would be beside Fernando Alonso on the list of all time. One victory and three times 2nd... Wouldn't the title be won by continuing the same way? â€“ I don't know if it's enough or not. I want to win. Winning evenly would be enough for sure. Fortunately we at least got better positions in the WDC-battle than before this race. Alonso came closer but the gap to the lead shortened, RÃ¤ikkÃ¶nen thinks. â€“ Monaco is a completely different place compared to the other places. It's dangerous to say anything beforehand, but we should at least be better than last year, RÃ¤ikkÃ¶nen said. Although they claim in Ferrari that they focus only on Sebastian Vettel in the WDC-battle, Stefano Domenicali emphasized that there is at least a 3-way battle going on. â€“ Kimi RÃ¤ikkÃ¶nen is like Fernando Alonso. He can produce consistently and evenly results, hence he should absolutely not be excluded from this WDC-battle, Domenicali reminded. Kimi RÃ¤ikkÃ¶nen is the only driver who has got up on the podium already four times during this F1-season. In Spain Kimi made a hattrick with 2nd positions by scoring once again 18 points like in China and in Bahrain. RÃ¤ikkÃ¶nen has now 36 points more than he had a year ago. Now he is only four points behind leading Sebastian Vettel. Disappointment shines from Kimi's face every time the man climbs out of his car as 2nd. â€“ I would want to win every time when going to a race. I'm here to win races and conquer the championship, not to make the chain of second positions longer. Fortunately we at least caught up with Vettel a little, even by coming in as second, RÃ¤ikkÃ¶nen said. RÃ¤ikkÃ¶nen was charged to take a strong start but it didn't go according to plans. Alonso proved Ferrari's competitiveness by driving past RÃ¤ikkÃ¶nen and Lewis Hamilton outside the track. RÃ¤ikkÃ¶nen was on a 3-stop strategy whereas Alonso and the other leading men had a 4-stop strategy. â€“ It was the fastest strategy for us. Maybe we could had gone faster all the time with more pitstops, but I still don't believe that the result would had changed. We deserved 2nd position, not the victory. Did you at any point believe that you could challenge Alonso for the victory? â€“ Perhaps in the middle of the race when I was leading. We had used tires whereas he had new tires. It's not easy to overtake, but there was nothing I could do. I knew that I could somehow stay behind him with used tires, maybe even get a chance although I had already been left behind. â€“ Alonso was just too quick. He got a good start from the outside. I don't think that it sealed the endresult, but we raced the race differently and our way was not the winning way, RÃ¤ikkÃ¶nen said. Every successful race like Spain GP attaches Kimi more strongly to Lotus in the future also. RÃ¤ikkÃ¶nen wants of course a fast car, but other matters also weigh in the scale. The tires were the hottest topic on Barcelona F1-paddock. Conspiracy theories are made up every now and then in some team's advantage. One top team even had a private negotiation with Bernie Ecclestone and they loaded their own opinion in full to Bernie, telling him how their competitiveness is robbed for the advantage of others. The topic is a really hot potato and emotions have reached the boiling point. The other hot topic is Kimi RÃ¤ikkÃ¶nen's future. And not only among the Finns on the paddock. RÃ¤ikkÃ¶nen has become the mega-star all times in F1 and his appreciation is rising up to a staggering level. The priority is on the ongoing WDC-battle. It goes ahead of contract matters. RÃ¤ikkÃ¶nen doesn't have any pressure to decide, but he has a couple months in practice to find out where Lotus is going and make it clear to himself what he wants from next season. RÃ¤ikkÃ¶nen knows that right now it's the seller's markets. And he lets offering teams become active and contact him. At the moment staying at Lotus looks like a worthy option. The turmoil with ownership and finance has scruples, but if the results stay at the current level then these matters are also put in order. Since RÃ¤ikkÃ¶nen doesn't have to negotiate about his salary, the thing that weighs in his own estimation is not only the car, it's also the team's attitude towards the driver. RÃ¤ikkÃ¶nen is untouchable and free in Lotus. Lotus is most exceptional of all the current teams: They don't have a mold in which the driver has to fit in. I have understood that this is not going to change, not even if new owners would appear in the background. While they in other teams demand an active leadership role from drivers, in Lotus RÃ¤ikkÃ¶nen creates a spirit by his appearance and limited presence alone in an exceptional way. He is already a myth, even an icon, for whom they are willing to work without him being there padding them on their backs. RÃ¤ikkÃ¶nen demonstrates his appreciation on the track. That's enough. Lotus is breaking barriers which have been granted factors in the F1-world. The team's strategy is to think strongly outside the box. Everybody expected this from Red Bull back in the times, but instead the team fell quickly back in their own British motorsport habits and narrow-minded thinking. Lotus doesn't have any restrictions. They practically demand modern thinking, even from owners. The beauty in this is that the project to become a â€�rockâ€™nâ€™rollâ€� -team was started before they even knew that they would get RÃ¤ikkÃ¶nen. They jumped in the air out of joy in the marketing department when the owners informed their drivers for team 2012 without giving any warning beforehand. In order to create a perfect working environment for RÃ¤ikkÃ¶nen, Lotus needs a few partners who have a progressive way of thinking. The conservative companies are still on their toes. They even tell from the inside of some teams that they are scared of RÃ¤ikkÃ¶nen, beause "one never knows what kind of a day he has". It's not however up to RÃ¤ikkÃ¶nen. Kimi always has a good day for the staff and the payers. One just has to pull from the right string if they want something from him. In Barcelona they were nervous before an energy drink -sponsor's 15 minute event, if it would succeed or not. Kimi liked the art-spirited event, he got exited and even enjoyed the sponsor event. The energy drink was owned by Coca-Cola, where it happens that everybody, even up to the highest management, backs Kimi fully. A topnotch mover and shaker in the background. Lotus know how to get the best out of RÃ¤ikkÃ¶nen and they know how he enjoys it the most. There they adapt to Kimi's model and not the other way around. That is a central key in keeping Kimi in the team. RÃ¤ikkÃ¶nen can reach his full potential in Lotus. He has set new standards for a F1-driver. RÃ¤ikkÃ¶nen's policy is clearly much more accepted now than it was a few years ago. Now it's practically admirable. Even young drivers want to be like RÃ¤ikkÃ¶nen. Kimi's character can't be imitated or learned in any way. One either has it or not. Just like his spectacular driving talent and speed. A perfect package that everyone wants, but only one gets. Kulta (and Nicole) are on fire! Eddie Jordan asked Kimi on the podium if people are belittling his chances in the WDC-battle. Kimi replied that he doesn't care if he goes unnoticed since he only tries to get the best results possible. Do regular people on the paddock also think that RÃ¤ikkÃ¶nen's real chances to win the WDC are underestimated? â€“ It might be true, then again Kimi doesn't care one bit about it himself, Sky Sports' commentator Johnny Herbert says. â€“ Kimi is really consistent and strong in banging results. Just like he was last year also. Last season his driving was of such class that we waited all the time for the victory to come. We had to wait until Abu Dhabi. Now the victory came straight away in the opening race, but Kimi is sort of again in the same situation he was in last year, that the next victory better come soon. â€“ Kimi would get the points he needs from a victory only, and it would give a nice boost to the team to squeeze even more, Herbert thinks. Herbert is not worried that Lotus-team's development work would suffer due to lack of money. â€“ Of course the development work is important, but this year it seems to mean even less than before. I think that the differences in the cars are minimal and it's good for both Kimi and Fernando. They have now the opportunity to take advantage of their own race strenght and close the gap to Sebastian Vettel, who according to me still has the fastest car. Mika Salo believes that the championship battle will definitely be between Vettel, RÃ¤ikkÃ¶nen and Alonso. â€“ It feels weird how some think they can afford to belittle Kimi's chances in this game. I don't think that Ferrari still sees Kimi as any opponent, it's like they race against Vettel all the time. â€“ I have no idea where it stems from. Maybe they don't believe in Maranello that Kimi can race the whole season on this level. Salo doesn't think that the updates in Barcelona have changed the WDC-battle's character. â€“ I don't know if Ferrari's update even was that big. They just got everything to click after losing many points during a couple bad weekends. Alonso just drove well and it was a bald move from him to overtake Kimi and Hamilton from the outside in the third corner, Salo thinks. Gary Anderson sees Alonso as the biggest WDC-candidate, but he says at the same time that RÃ¤ikkÃ¶nen will make it tough for Ferrari in the future also. He is worried over James Allison's departure. â€“ Lotus is a quick car and developing it isn't an expensive project anymore. It's easy to develop a good car. But Allison's departure might have an impact on how the whole team works. â€“ I think James has been like Newey. He has overviewed everything as a whole and taken care of many things with a good understanding. When Lotus loses a leader who is that experienced I don't know if anyone within the team can fill his shoes efficiently, Anderson says. Let's go over to the writing media. One of the last workers in the media room on Sunday night is Auto Sprint's Alberto Antonini, who emphasizes that RÃ¤ikkÃ¶nen's possibilites should definitely not be belittled. â€“ I believe Kimi has a very good shot in this year's WDC-battle. This year is completely different from earlier years in F1. We haven't seen earlier a car which after the 3rd pole in a row drops as low as the Mercedes has. This season we need a completely different way of thinking and driving a race. 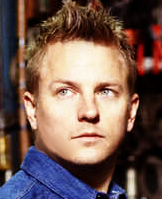 â€“ Kimi is as a racing driver from old times and he is brilliant in adapting to different requirements blindlingly fast. He has raced on all possible tires and he has the keys to manage tires in Lotus. I think that the Ferrari from year 2009 was the only thing Kimi had difficulties with. Can RÃ¤ikkÃ¶nen maintain the speed to the end of the season? â€“ I believe he can. Ferrari is however the biggest favorite, but Kimi is a tough challenger. One has to remember that at the end of last year's season Lotus-team's update-package was some sort of a catastrophy in the beginning, then hocus-pocus, Kimi won with it in Abu Dhabi, Antonini says. The season is still young. I give Kimi a chance of 25 % to cross the finish line as the WDC. I give Alonso 35 % and Vettel 40 %. Let's keep in mind that they have promised tire-changes to the 8th GP in Silverstone, but I doubt it will drastically change the power relations. How does our blog-gang react to Kimi's and Lotus-team's chances? OK, so Kimi is only 7 podiums away from Senna's 4th place of all times. But Kimi also tied Heidfeld's record of all times for completing 33 GP's on a row. So if he does one more he'll be the best of all times, Heidfeld would be 2nd with 33 and Rosberg third with 27. But that's not the only record Kimi will be chasing, he is also 1 GP behind of tying with Alonso's 23 GP's in the points and 2 GP's from Schumacher's 24.
the tyre failures are caused by debris, it just looks bad because Pirelli changed that when there is a damage the tyre doesn't deflate and the structure is still intact. with last years tyres Alonso wouldn't have won the race..
(Reuters) - Pirelli are reviewing the construction of their Formula One tyres after a series of spectacular debris-related failures but have assured drivers they need not worry about safety. Concern was expressed at the Spanish Grand Prix when the tread came off the still-inflated left rear tyre of Paul Di Resta's Force India during Friday's second practice. Ferrari's Felipe Massa suffered two failures during the Bahrain Grand Prix last month and Lewis Hamilton collected a grid penalty after his Mercedes needed an unscheduled gearbox change following tyre damage. Paul Hembery, Pirelli's motorsport director, told Reuters on Saturday that the problem occurred when debris on the track penetrated the tread rather than the sidewall of the tyre. This was because the Italian manufacturer has introduced a high-tensile steel belt under the tread to make it hard for objects to penetrate the tyre and cause a sudden deflation. "What we have changed this year...is that when there is debris or an issue, it doesn't cut through the belt pack and deflate the tyre which is what would have happened last year," he said. "Instead, it's arriving at the belt pack and then you get the tread being the weak point. It overheats and comes away, which visually is very dramatic although the structure is still intact." Hembery said Di Resta's tyre still had a pressure reading of 17 psi when the car came back to the garage. "Last year that would have collapsed on to the rim and (the car) probably would have crawled down the pitlane on three wheels. It's the mode of failure that's changed," explained the Briton. "Bizarrely, it's probably safer this way. "For us, it's worse because it's visually - from a tyremaker's point of view - not great. From a safety point of view, it's probably safer because the actual tyre is still inflated. It's not something due to quality or design." Hembery said Pirelli would seek a solution to the problem but it would not be available until at least the British Grand Prix at the end of June because teams would have to agree any changes that could affect performance of their cars. That will mean similar failures could occur at the Monaco and Canadian Grands Prix before Silverstone. "We can't test and if we make too dramatic changes we influence maybe the aerodynamics and some of the chassis design," said Hembery. "If we make anything significant, we have to convey it to the teams and we have to know if that is going to affect what they are doing. It's a very delicate balance. "Is our solution to make the tyre deflate when it has debris? Does that look better from a tyre maker's point of view? Is it worse for the teams or better? It's a strange dilemma to be in," he added. Hembery said Hamilton's issue in Bahrain was slightly different to others, in that there was either a suspension problem or something on the track that broke the suspension, but Massa's punctures were clearly caused by debris. "There were cuts in the tyres. I found a bit of one car in one (tyre) and I know which one it was because it had the branding on it," he said with a smile. "We are frustrated, because we don't like to see it (the tread coming off) but we are not alarmed for any safety issues." Pirelli should not change the tyres - a four stop race is fun. Also some teams make them work - change them for 2014. Not 2013. The tyres are the same for everyone - so if your aero advantage is countered by weaknesses in the Chassis dept then deal with it. I agree that the delamination is not a good thing. But people are overreacting about this issue. The two worst tracks for tyres is Bahrain and Barcelona. In Bahrain it is due to the heat and the sand from the desert, and in Barcelona it is due to the abrasive track surface. In Bahrain they had 2 and 3 pitstops, which is expected to be the norm. In Barcelona with the most abrasive track surface we had 3 and 4 pitstops. Both races had the delamination issues. The whole tyre issue seem to be a serious case of only remembering the last race. People have a short memory, and most of the complaints are coming from Red Bull fans who are unhappy about the performance of the team in Spain (nevermind that they have just won the previous race), and the other group seems to be "new" Mercedes aka Lewis fans who are unhappy about the team qualifying well and and destroying their tyres in the race. The whole tyre issue this season seems to stems from the British contingent who are unhappy that none of their drivers and teams are really competitive this season. We have now passed the two worst races when it comes to tyres, people should atleast wait and see what happens at more relevant or normal races before overreacting about the issue. Next week we will be back to normal processional, boring races, at Monaco, then there will properly be something new to complain about.